To be honest, Negombo is not an attractive beach resort. The beach is not protected and dirty. However, Negombo is the beach holiday destination close to the International Airport and thereby a good starting point for a Sri Lanka round tour. Negombo is the largest Christian town in Sri Lanka. Several churches can be seen on a city tour, but also places of worship of Buddhists, Hindus and Muslims in distinct neighbourhoods of the city. Main attraction is the fishing harbour and fish market close to the former Dutch fort. 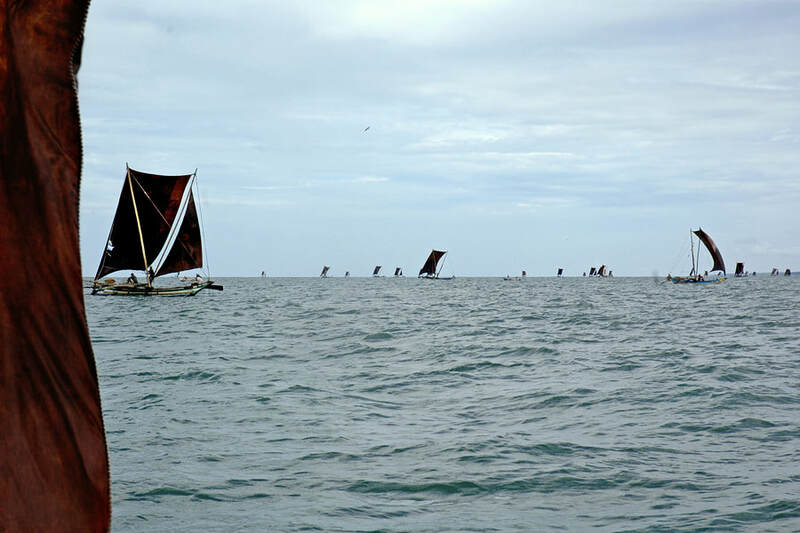 A boat trip on a traditional outrigger is rewarding. A motorboat ride in the large harbour and lagoon is recommendable, too. Half-day excursions to the Muthurajawela sanctuary in the south and the Maha Oya river mouth in the north offer surprising experiences of tropical wetlands very close to the town. With more than 140,000 inhabitants, Negombo is the largest city in Sri Lanka outside Colombo District, as the population number is slightly larger than that of Kandy. For those who intend to spend the first night after arrival in Sri Lanka not far from the airport, Negombo is a much more recommendable alternative to Colombo. There are several reasons to prefer Negombo as a starting point for round trips. First of all, Negombo is closest to the airport. The distance from Colombo International Airport to the hotel area at Negombo beach is only 12 kms, whereas the distance from the airport to Colombo town is more than 30 km. Secondly, after your overnight stay in Negombo you can start your tour on the next morning without any traffic jam, but starting in Colombo would mean traffic jam guarantee. Thirdly, the price level for overnight stays is significantly lower in Negombo than in Colombo. This is why Negombo is place to spend your first night in easier place to find your Sri Lankan feet than Colombo. Negombo’s variety of accommodation suits all pockets, from cheapest guest house to five-star hotel. Negombo is situated at Sri Lanka’s west coast, about 40 km north of Colombo by road. The town centre is just to the north of the large Negombo Lagoon. The Negombo fishing harbour, which is one of the largest in Sri Lanka, is situated within the mouth of the lagoon. 2 km further north, there is a 5 km long straight stretch of sandy beach, where almost all hotels of Negombo are located. The driving distance from Negombo to Pinnawela Elephant Orphanage is 75 km, to Kandy 105 km, to Sigiriya 145 km, and to Anuradhapura 170 km.